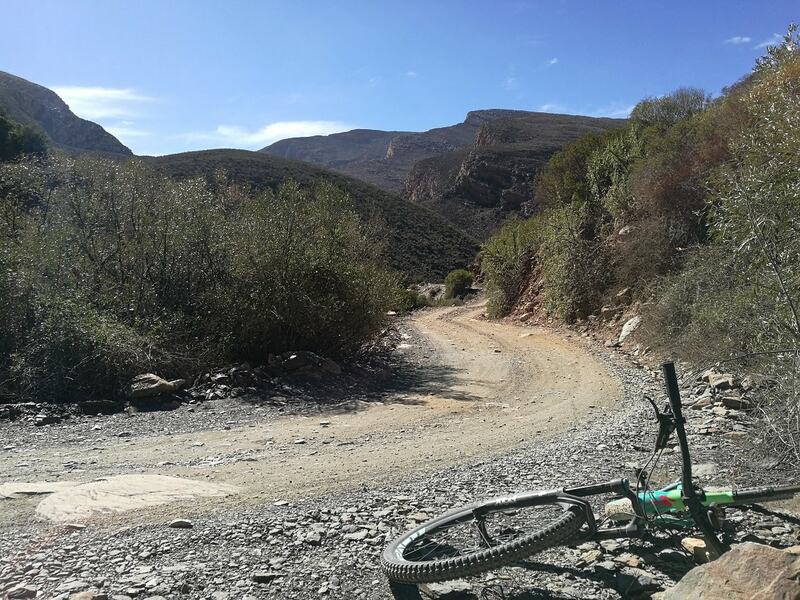 It was the beginning of a long weekend as we braved Gamkaskloof, known to many as Die Hel, some 100km from the town of Oudtshoorn. It’s translated into English as The Hell, a sign that we were in for one unforgettable adventure. 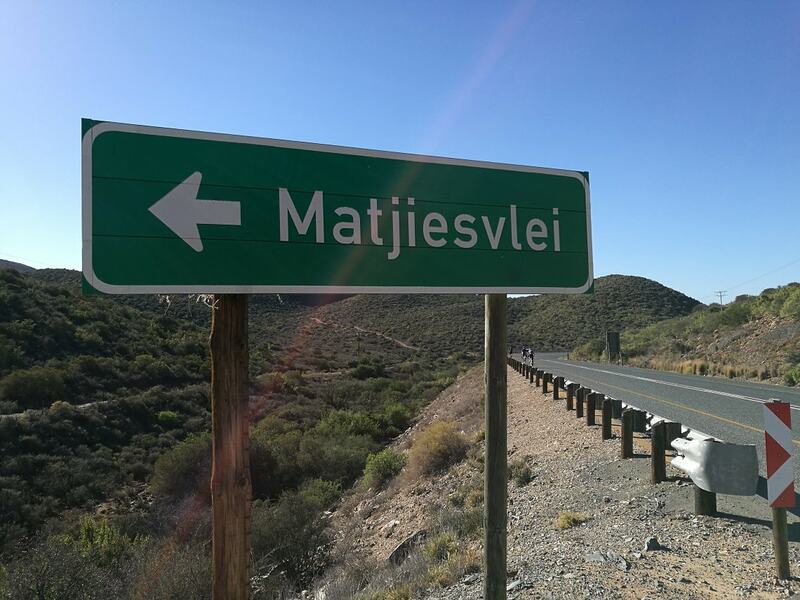 Our first stop was Matjiesvlei just outside Calitzdorp, from where we would start our epic ride. We spent the night at Matjiesvlei Cottages – the Matjies Valley in itself is a destination begging to be explored. As a 4×4 enthusiast, I pay little attention to gradients – the general idea is that most roads except mountain passes are pretty much flat, right? 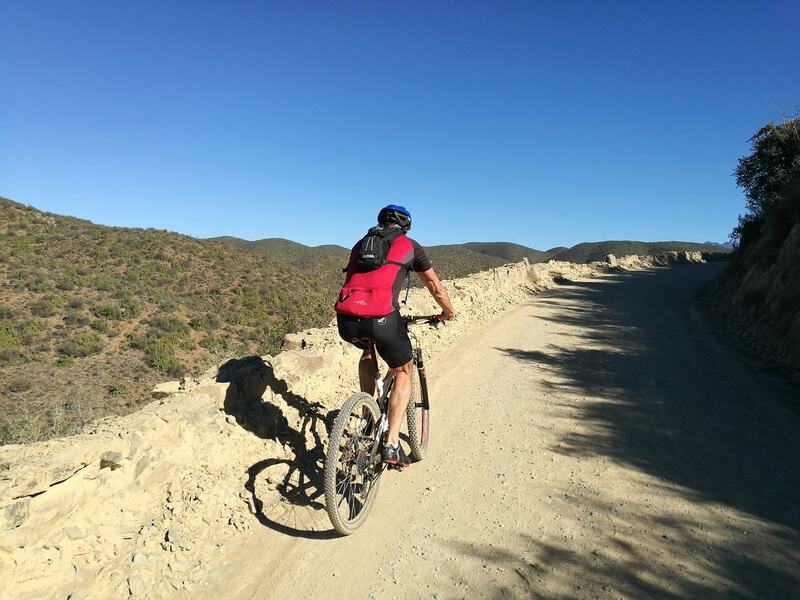 On a mountain bike, this proved a serious misconception and it cost us dearly. Every hill is earned, and some are feared. 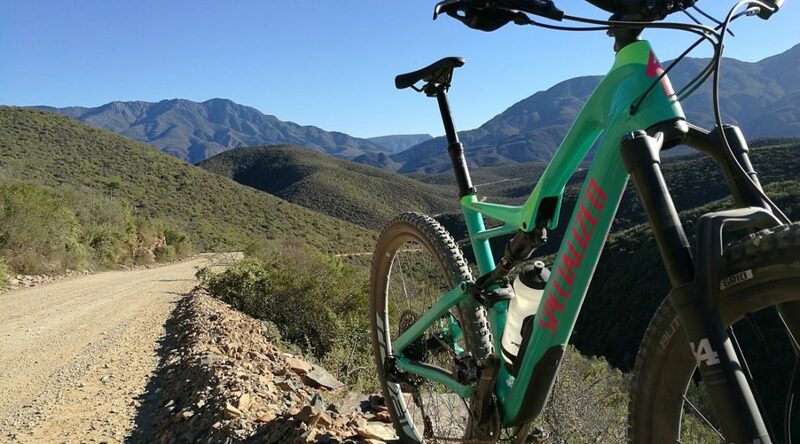 So it was that on our first “flat” day we rode from Matjiesvlei towards the Swartberg Pass via Calitzdorp and past the Calitzdorp Dam all along the Nels River. En route we crossed many little rivers and streams with names like Kruis, Vinknes, Meul, Huis, Matjies and Suurhoek. With all this water, expect lush trees and patches of lucerne along the way. 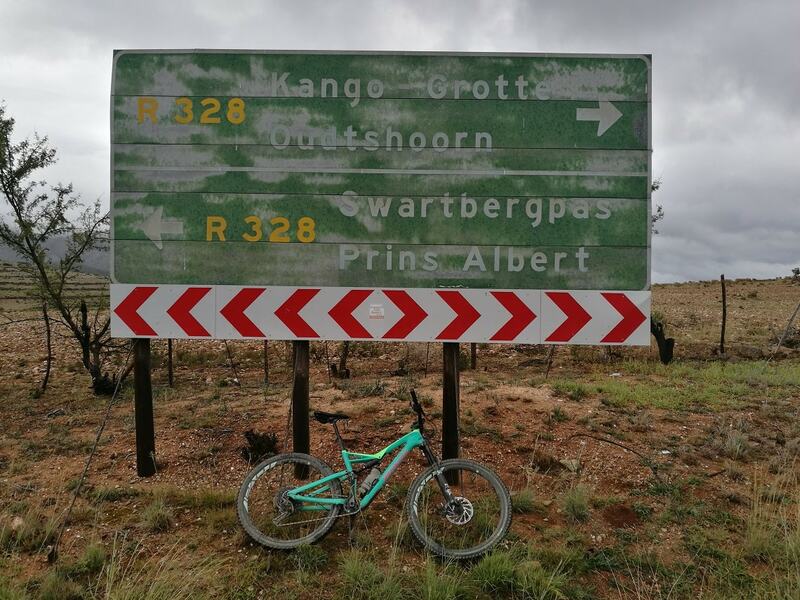 It’s a beautiful detour if you want to avoid the R62. The road meanders through old farms, some still running, and others bought for renovation. Also in the valley you will find quite a few galleries managed by resident artists. The rustic but well-equipped Swartberg Backpackers was our home for the night. 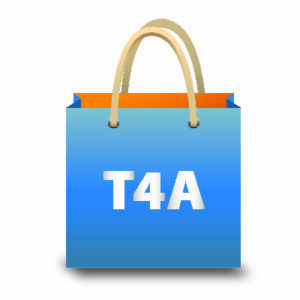 This self-catering accommodation option is perfect for large groups wishing to explore the area. Waking up to some much-needed rain the next morning, we waited for the weather to clear before attempting Swartberg Pass. The group was noticeably quiet as everyone turned inward to focus on the task at hand. An hour and a half later, we reached the pass’s top at a chilly 4˚C. Not wasting any time, we descended for the Gamkaskloof turnoff. Over the years, I have done many a trip to The Hell by sedan, 4WD, and adventure and mountain bike. 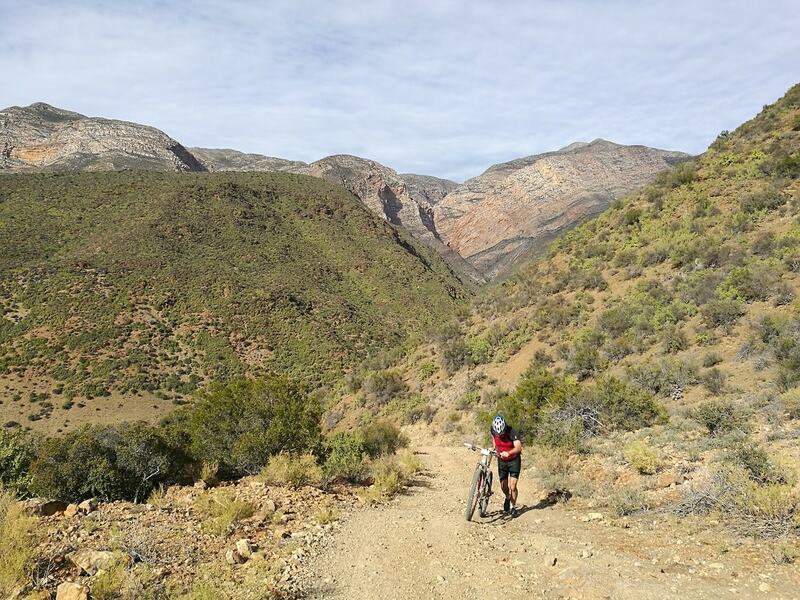 Most people think you descend into Gamkaskloof, but this is far from the truth. Yes, you do indeed end up much lower than you started, but many hills wait to be crossed. 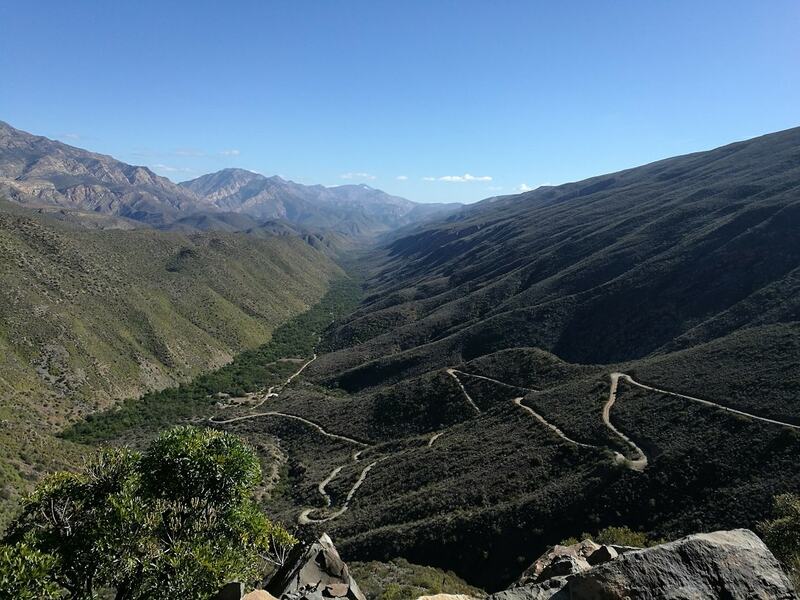 Some 10km before you descend from the The Hell viewpoint down the Elands Pass into the valley, a massive hill with very challenging gradients stares you right in the face. Just listening to the vehicles labouring up the hill is enough to make you wish you were back on a motorbike. CapeNature offers a variety of accommodation options in the valley, including renovated farm cottages from the original people who lived and farmed in the area. 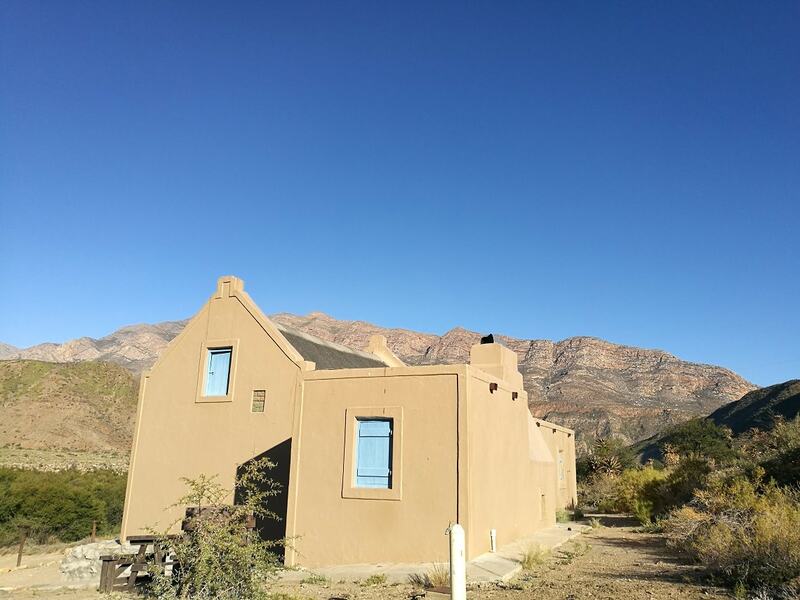 We stayed at Swartberg Nature Reserve’s Snyman Huis on the banks of the Gamka River. Did you know? Snyman was the valley’s first motor vehicle owner. But this was long before the Otto du Plessis access road was built. The vehicle had to be towed by donkeys and carried into the valley via the Gamka River. To get out of The Hell was going to be an even tougher endeavour. 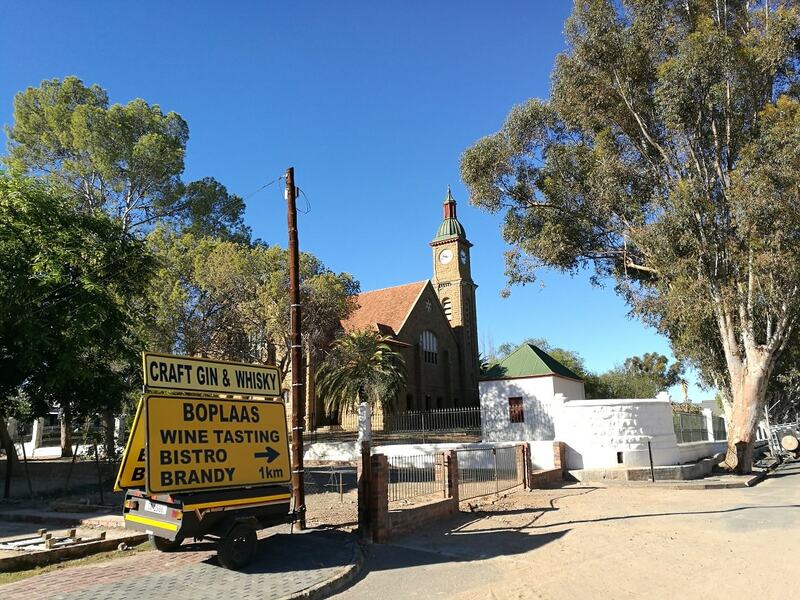 We opted for a different route back by heading deeper into the valley onto the private property of Boplaas Cellar. Note that you need to ask permission. Here you can also rent self-catering cottages and it’s well worth staying a couple of nights to discover the area on foot. Our route took us to Die Leer, or The Ladder – an old access route to the valley before the road was built. The Ladder is nothing more than a very steep and rocky slog from the valley floor up the mountain. Once at the top, you cross the private property of Bosch Luys Kloof Private Nature Reserve. Again, obtain permission beforehand. We followed a rough 4WD track to reach the top of Bosluiskloof Pass. In olden days, this used to be the connector with Prince Albert. Since the construction of the Gamkaskloof Dam, this is now a dead-end. From the top of the pass, you descend very quickly down the mountain to reach Bosch Luys Kloof Lodge at the bottom of the valley. We were treated to a wonderful dinner and I can recommend the hospitality of the owners and staff. 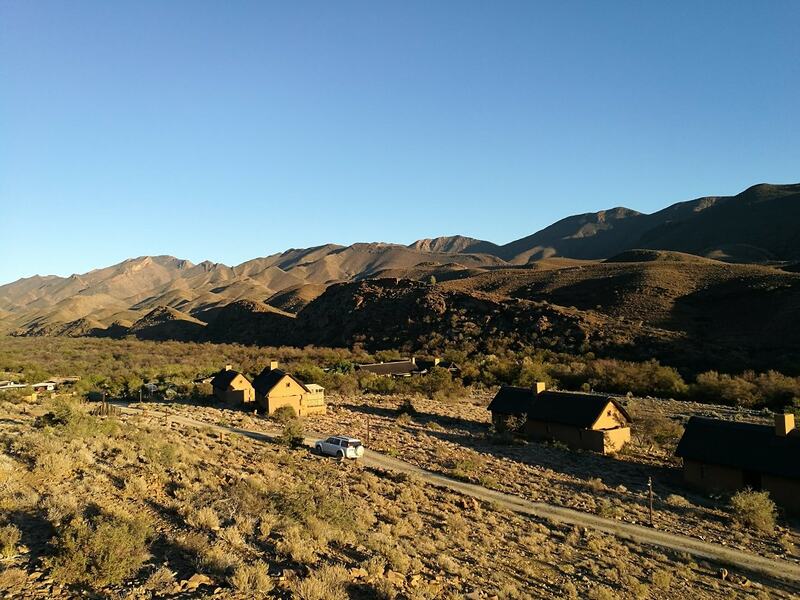 The lodge is not more than 35km from the R62 via Seweweekspoort Pass, but when you get here, you feel completely secluded from the outside world. 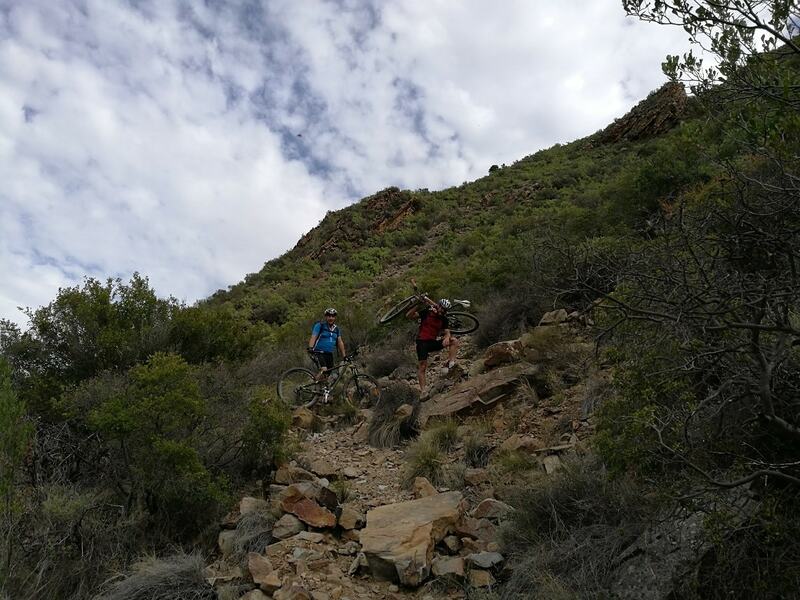 After a hearty lodge breakfast, we had 35km between us and Zoar, but being at the bottom of the valley, it took us more than an hour to climb Bosluiskloof Pass. From there a slight downhill gradient takes you all the way to Zoar. 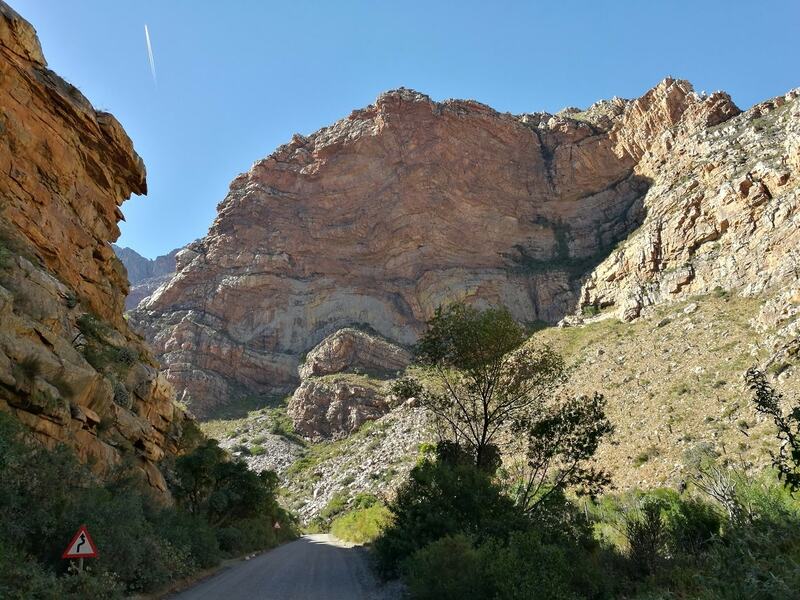 Seweweekspoort Pass is a super scenic route for a detour or picnic. Reaching the end of the pass, our back-up vehicle was waiting at the R62 to pick us up. We ventured into the little hamlet of Zoar in search of some sustenance and found Chrissie’s Kitchen in the heart of the village surrounded by beautiful old buildings. Although they were already closed, we were invited to sit under their big trees and order some coffee. Chrissie herself greeted and served us. Next time you are in the area, look them up for true country hospitality. Sadly, four days spent with good friends in this special part of South Africa came to an end. My legs were happy to take a break, but my heart was wanting more. Nice one Johann – sounds like you had a great but tough ride!